Markings: (Verso) wet stamp in black ink, "PHOTOGRAPH/MAN RAY" and "PHOTOGRAPH/BY MAN RAY" with ADAGP agency credit stamp. Secondary Inscription: (Verso) inscribed in pencil, "61-MR". From a very young age, Florence Meyer lived her life among artists and practiced her violin in the studio of sculptor Constantin Brancusi. 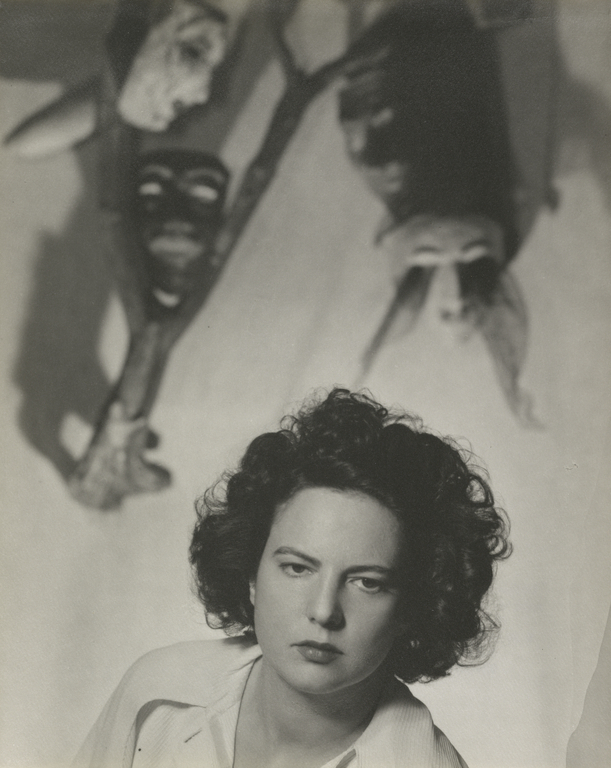 She later became a dancer and, after moving to Los Angeles, pursued photography with the occasional instruction of Man Ray. Man Ray may have made the masks in the background of this image.